Each November, I spend a good day with my family picking Hachiya persimmons from my grandpa's tree. When this area of Riverside county was being built up post WW2, the track designers left some of the original fruit trees through out the propriety. I am not sure how old this tree is, but I would suspect it is over 50 years. We picked two huge bags of persimmons. This is the first year the wee one is old enough to participate. She thought it was the greatest thing to play underneath the canopy of branches and help her auntie gather the fruit. Unlike other fruit, persimmons need the cold to ripen. With our recent cold fruit in So Cali, I have been able to make three huge pots of jam. My granddaddy uses the fruit for bread and cookies. 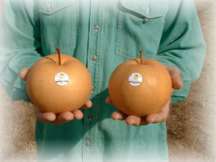 Rhodes Family Farms has an excellent index of persimmon recipes on-line. 1. Skin and de-seed persimmons. Whip pulp through the blender if the pulp is still a bit stringy. 2. Add persimmon pulp, spices, and sugar to pot over medium heat. 3. When mixture begins to boil, add 1/2 cup of lemon juice and pectin. Allow to boil for 10 minutes, stirring constantly. 4. Remove pot from burner. Skim off any bubbles or foam from the top of the mixture. Pour into sterilized jars. It seems as if it has been forever since I posted. The passing of time always amazes me. It can drip unmercifully like a trickle from a spilt jar of molasses or it can flash in a blink of an eye. 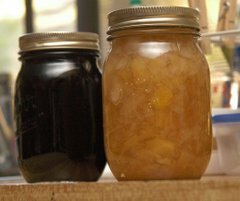 The last two weeks have been filled with making my seasonal jams and preserves. I call this time "jam fest." To get into the holiday spirit, I start the week before Thanksgiving and kick out the jams, -------- (sorry about that...I had a bit of an MC5 flashback). By season's end I am guessing I will have made about 100 jars as I am still waiting for the persimmons to ripe. 1. Mix pears, pineapple, lemon juice and spices in heavy pot. 2. 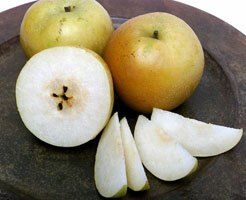 Cook over medium heat until pears become transparent. 3. Add pectin and bring to hard boil for 1 minute. 4. Add sugar and boil hard for 4 minutes. 5. Immediately transfer to sterilized jars. 6. Place in canning bath for 10-15 minutes. 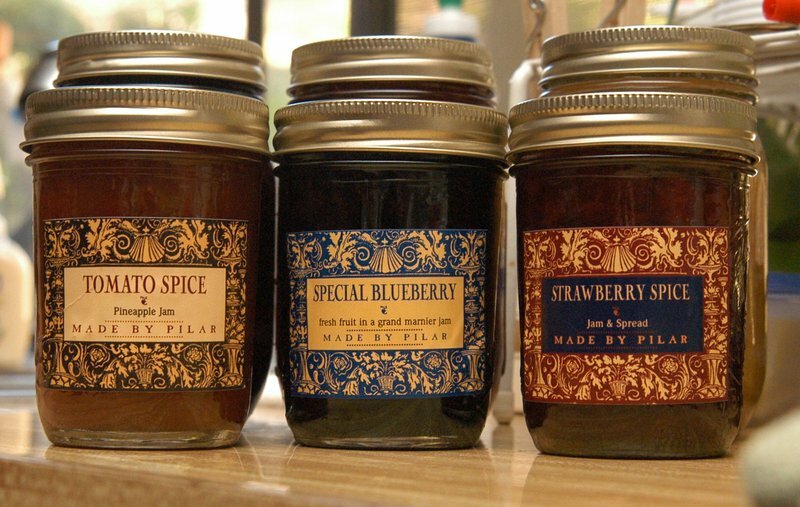 More on my jam adventures in the next post!